I don’t have anything against AIW, but it also isn’t a story that I include when I’m listing favorites. 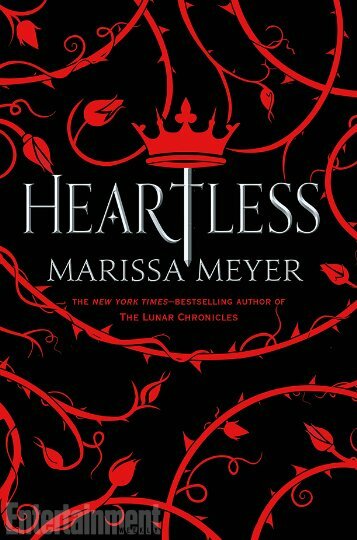 But this, what Marissa Meyer has done—taking the world, the characters, and even some of the famous phrases, and turning it into something other, was so enjoyable to read and I was totally into it. Make sure you have a box of donuts, or cake, or tarts… some baked confection at ready disposal while reading. I didn’t have anything when I started this and I couldn’t get to a bakery fast enough. There are a lot of retellings out there, but I think that Meyer is among the best. I only knocked it down half a star because the direction she went has been used often. But the execution of a familiar trope and the way she spun this AIW inspired story was overall just an enjoyable and great read. Meyer is officially auto-buy for me! I found this one to be extremely middle grade friendly as well and would not hesitate to hand it over to younger readers as well. Congrats to Marissa Meyer for another wonderful tale. I found it well done, clever, totally engaging, and it put me through some real feels.